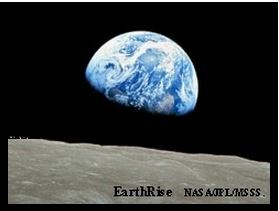 The picture at the right was taken from the Apollo spacecraft as the Earth rose above the horizon of the moon. It reminds us of how beautiful the Earth is, how small and finite it is in the universe, and how important it is that we protect it. This contest was designed to identify those who work to protect the Earth and those who would damage it through their actions. The 2014 Environmental Hall of Fame/Shame contest was carried out on four websites and the votes were combined to determine those who have most affected the environment. 1. Pope Francis (55%) – for his Protect Creation efforts. He is preparing a comprehensive Vatican teachings on climate change, which will urge 1.2 billion Catholics worldwide to take action. He also plans to convene a summit of the world’s main religions in hopes of bolstering next year’s crucial U.N. climate meeting in Paris. Hoped for Reward: A strong agreement from the climate conference. 2. John Holdren (18%) – a lauded theoretical physicist who is President Obama’s science adviser. He has been a strong influence on the Administration’s science policy and has been quite effective in shutting down Congressmen who deny the human influence on climate. Prize : Election defeats for all Congressmen who exclaim, “I’m not a scientist, but…” . 3. Boyen Slat ( 15%) – a 19 year old Dutch student/ inventor and founder and CEO of The OCEANCLEANUP . He developed a method for removing much of the 30 million tons of plastic entering the oceans annually, convincing 70 scientist to help, producing a 530 page feasibility study, and raising over 2 million dollars to start the project. Prize : A high price for recyclable plastic. 4. Physicist John Cook ( 12%) for creating the Skeptical Science site in 2007 which conveniently catalogues all paid denier memes/propaganda and the scientific responses to them. He has posted a large number of articles and videos explaining the facts of climate science. Prize: Ownership of WWUT, the major denier site. 1. Freedom Industries and its ex-CEO Gary Southern (43%) – for contaminating the drinking water for 300,000 West Virginians. They have been charged with multiple violation of the Clean Water Act related to polluting West Virginia’s Elk River, including a massive chemical spill this past January that saw 10,000 gallons of a coal-cleaning chemical called crude MCHM dumped into the river. Award: A prison cell with drinking water from the Elk River. 2. Senator James Inhofe (31%) who claims “climate change is the biggest hoax in history”. He has compared the United States Environmental Protection Agency to a Gestapo bureaucracy, EPA Administrator Carol Browner to Tokyo Rose, and now he’s chairman of the Senate Science Committee. Award: A path for the KXL pipeline through his backyard. 3. Tony Abbot (19%) – Australian Prime Minister who led the repeal of the carbon tax, even though Australia is one of the world’s largest polluters per capita and is facing serious changes to climate and weather systems as a result of global warming. The Guardian described it as “an act of gross moral negligence to the future prosperity of this country and future generations.” Award: A million lumps of coal for next Christmas, delivered to his front yard. 4. Dr. Richard S. Lindzen (7%) – Senior Fellow at the Cato Institute who described the recent U.S. Senate climate vote as a bizarre and ludicrous “attempt to hijack science for political purposes”. The Cato Institute is a part of the Climate Change Denial Machine, and the “focus his work is on the interaction between climate science and policymakers”. Once a fine scientist, denial for political purposes is now Dr. Lindzen’s job and he knows enough to sound impressive as he disputes accepted science. Prize: A trophy engraved “Outstanding Climate Science Hypocrite Award”. It is important that we keep in mind those who have the greatest impact, for good or ill, on the environment. I wish to thank those who provided the nominations, the prize suggestions, the insightful and humorous comments, and the votes to determine the winners. As this year goes by, please take note of those you wish to nominate for the 2015 awards. This entry was posted on Friday, March 6th, 2015 at 7:22 pm	and is filed under Environmental Hall of Shame, Uncategorized. You can follow any responses to this entry through the RSS 2.0 feed. You can leave a response, or trackback from your own site. Many who voted for Pope Francis mentioned that it was because he could have such a wide influence. I had a good laugh for the gifts suggested for John Holdren and John Cook. Boyen Slat was not well known among the readers, but I am sure that we will hear more of him in the future. In the Hall of Shame, readers showed a preference for those who did immediate and visible damage through their criminal actions over those who do less visible damage through their political actions or distortions of science. The prizes chosen are those which seemed fitting for their work, yet could be put into print.